University Press of Florida, 9780813054506, 272pp. Award-winning chef and restaurateur Norman Van Aken invites you to discover the richness of Florida's culinary landscape. This long-awaited cookbook embraces the history, the character, and the flavors of the state that has inspired Van Aken's famous fusion style for over forty years. Drawing from Florida's vibrant array of immigrant cultures, and incorporating local ingredients, the dishes in this book display the exciting diversity of Van Aken's "New World Cuisine." Recipes include Key lime beignets; cornbread-stuffed quail with strawberry-ancho-guava jam and sweet and sour parsnips; "Spanglish" tortillas with hash browns, creamed spinach, and serrano ham; pork stew with raisins, tamarind, plantains, and chiles; and fully loaded cracked conch po' boys. While preparing these dishes, readers will enjoy advice and stories straight from the kitchen of a master chef. Van Aken infuses his recipes with tips, techniques, and personality. He reveals the key to a good gumbo, praises the acidity of a pickled peppadew, connects food innovation to jazz and blues music, describes hitchhiking adventures across the state with his wife, Janet, and tells the tale behind the Mustachioed Swimmer, a cocktail named for Tennessee Williams. 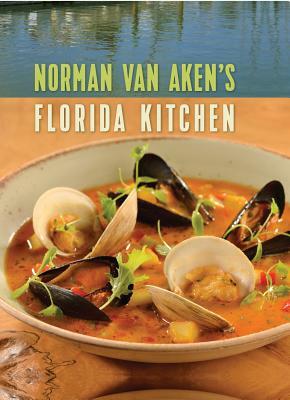 Norman Van Aken's Florida Kitchen is a delicious read--the definitive guide to the historic past and multicultural future of Florida's abundant foodways. With its forward-thinking blend of old and new, thoughtful step-by-step instructions for wonderful meals, and plenty of friendly conversation, this book is a rare immersion in a culinary artist's world. Norman Van Aken is chef-owner of NORMAN'S at The Ritz-Carlton, Grande Lakes, Orlando, and 1921 by Norman Van Aken in Mount Dora, Florida. Additionally, he is chef-partner at Three, a fine dining restaurant, and No. 3 Social, a roof deck lounge, in the Wynwood Arts District of Miami. His cooking school, In the Kitchen with Norman Van Aken, is also in Wynwood. Van Aken is the only Floridian inducted into the James Beard Foundation's Who's Who of Food & Beverage in America and was a 2016 MenuMasters Hall of Fame inductee with Jacques Pepin and Wolfgang Puck. He is the author of five cookbooks, including My Key West Kitchen: Recipes and Stories with Justin Van Aken, and a memoir, No Experience Necessary: The Culinary Odyssey of Chef Norman Van Aken.